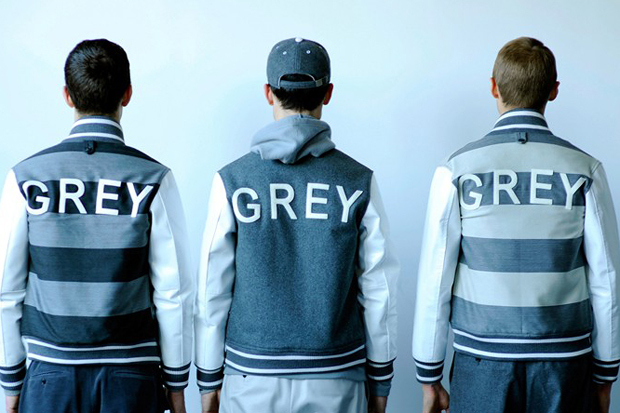 American fashion designer Thom Browne will be making some of his work a bit more accessible, with a new wallet-friendly and more youth-oriented diffusion line going by the name Thom Grey. This capsule collection will bring a 40 to 50-percent price reduction to Browne’s signature oxford shirts, tailored jackets and rugged outerwear, all in a series of American sportswear-inspired pieces designed to appeal to a younger, more sensible and fashion-savvy consumer. The line will entail a lesser emphasis on structured outerwear, instead going after softer jackets (like the pictured Letterman jacket), and a well-rounded assortment of wool and cotton knit pieces. Look for Thom Grey to begin landing exclusively at key retailers like Barneys New York, Harrods, and I.T boutiques in both Hong Kong and Beijing.